Well, well, well… Look what Google dragged in! 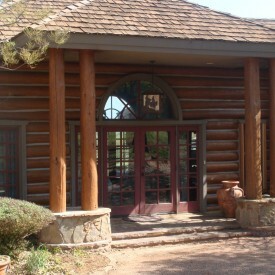 You must be interested in log home restoration! You should know that we are the best in the log home care industry in the Russellville AR area! Call us about an estimate for any of these services: log home restoration, log home repair, log home chinking and caulking, log home improvement, and log home maintenance. Or if you’d rather, ask for an estimate on our website by clicking “Log Home Restoration Cost Request” under “Contact Us”. There will be someone to promptly give you information to restore or repair your log home. 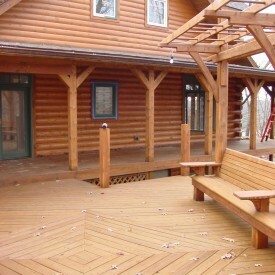 Let us refinish your log home to be in its very best condition! You can rely on the knowledge and experience of our professional crew to deliver beyond your satisfaction! 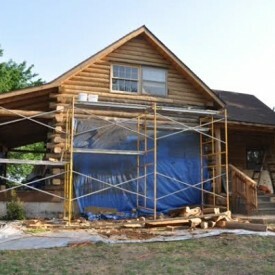 Our restoration process starts with blasting the old stain off of your logs, sanding the logs to a smooth finish (if you so choose), cleaning with a borate treatment, chinking or caulking, and finally, applying a stain that will make you wonder why in the heck you waited so long to have your log home restored. So, don’t wait any longer! Contact us today! 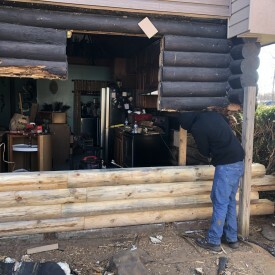 You can rely on the knowledge and experience of our professional crew to fix your log home! Do you have log rot? No worries! Has an insect or bug infestation damaged your logs? Not a problem! We can repair logs with minor damage or completely replace logs that have an extensive amount of damage. We are more than capable of ensuring that your log home is in the best possible condition and structurally reliable. Logs on a log home are always changing, expanding or contracting, leaving the possibility of cracks in between your logs. That leaves your log home vulnerable to unwanted bugs, water leaks, and air drafts. If you have chinking or caulking already in place, and you are still experiencing water leaks, invading insects, and air drafts around your windows, then give us a call or contact us by filling out an estimate request on our website. We want to make sure your log home in the Russellville Arkansas area stays comfortable! Would you like to build an addition to your log home? Surprise! 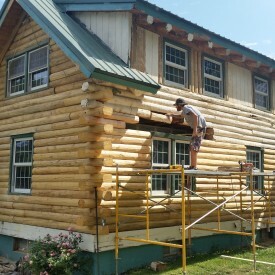 We not only restore and repair log homes, but we also construct additions to improve your log home! Our crew can build decks, porches, and patios to beautify the outside of your home. We can also construct log staircases or log railings to bring out the best inside. You can talk to an estimator today about what you wish for and we will discuss what we can do for you! 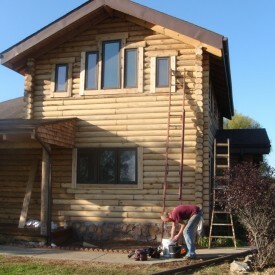 There is a lot involved in maintaining a log home. If you are not sure what to do, don’t worry! 888-LOG-GUYS is here to answer your questions about how to properly care for your log home in the Russellville AR area. Our company will keep track of when your next maintenance service is due, so leave all the hard work to us! We understand that your log home is special to you, so when it comes to the upkeep of your log home that will save you time and money, you found the best solution, 888-LOG-GUYS!